Mega Bloks Halo UNSC Sierra Squad review! Pretty dry times in the world of Mega Bloks releases, but this was a nice one to see. 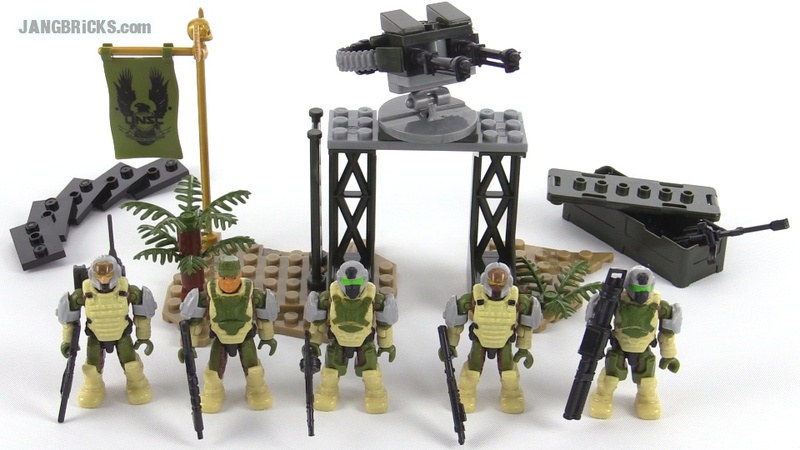 1. do you know where I can find some halo mega blocks treeain baseplate and support beams like what are found in the halo mega bloks set containment outpost patrol. When is this set available to buy? NOT on Ebay or Amazon but Toys R Us or Target! THANK! When this set be available to buy? NOT on Ebay or Amazon but in stores like Toys R Us or Target! Hey JANG when will the drop pods come out for 2016? Because my friend got his hands on a black elite zealot from 2016.